As a thrill-seeking teenage boy, few things take precedent over adventure when it comes to vacation planning. The higher the slide, the faster the ride, the wilder the water–the better. If that sounds like you, or anyone in your group, be sure to work Warren County, Ohio into your weekend getaway plans. Here are just a handful of the high-thrill highlights you’ll find in Ohio’s Largest Playground. Thrill seekers and nature lovers alike will find plenty to get excited about at Oregonia’s Ozone Zipline Adventures. When I first visited Ozone’s treetop canopy zipline course, I was admittedly very nervous. It was my first time ziplining, and I truly wasn’t sure what to expect. Fortunately, the site’s friendly and knowledgeable guides eased my fears as they prepared everyone for the day with helpful tips and thorough safety instructions. 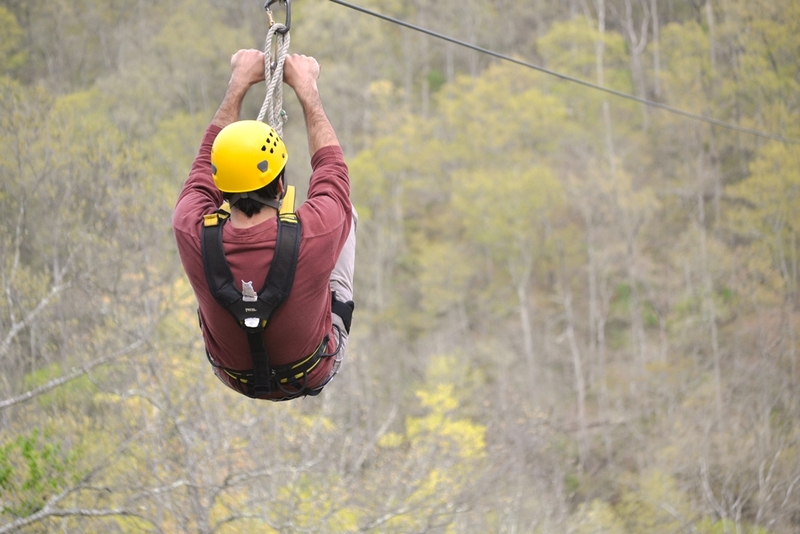 When it was finally time to take to the course, sky-high walking bridges, platforms, and–of course–ziplines provided both heart-pounding thrills and stunning views of the surrounding forest and Little Miami River Valley. Flying more than 200 feet above the forest floor and a scenic rushing river–how’s that for adventure? Not far from Ozone, River’s Edge Outfitters operates as one of several liveries located on the Little Miami Scenic River. 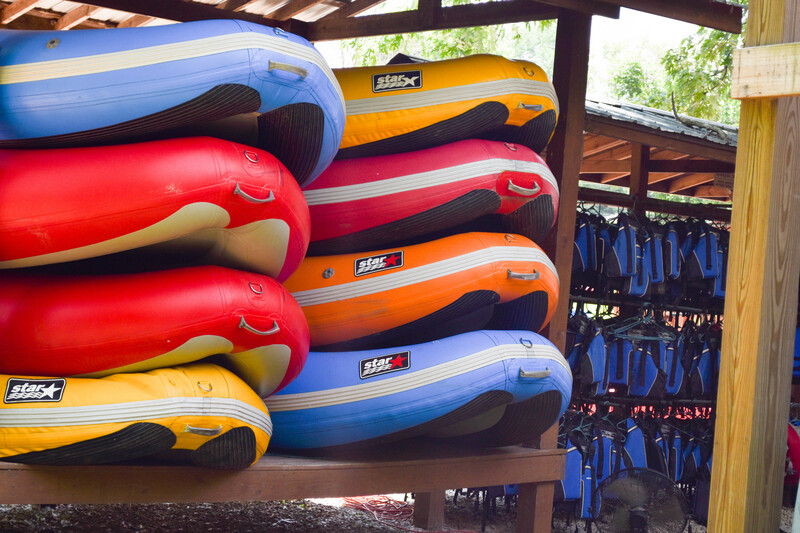 River’s Edge gives guests the choice of navigating the river by kayak, canoe, or raft. Recently, several of my friends and I shared a raft on a trip together and simply had an amazing time on the water. Whether you want to race your fellow rafters to get down the river as fast as possible, or take it slow and easy to enjoy the beautiful Southwest Ohio scenery, a River’s Edge excursion is a perfect way to spend a sunny afternoon with family and friends. No matter how you choose to navigate the river, be sure to stop for a swim or two along the way. Rope swings and tree-shaded lunch spots add to the fun as well. 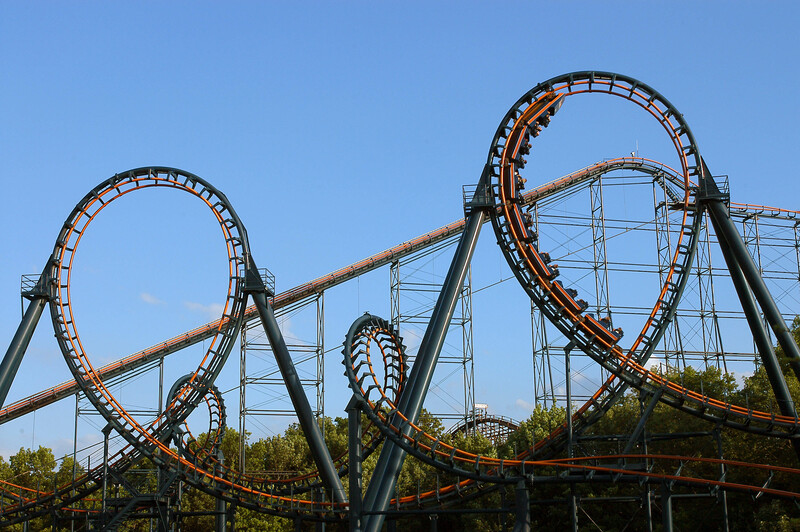 Last, but certainly not least, Kings Island offers an incredible array of rides and attractions sure to thrill adventure seekers young and old. Think you have what it takes to conquer the longest wooden roller coaster in the world? Try to tame The Beast, one of the park’s most popular and iconic attractions, and a personal favorite of mine. Banshee, Flight of Fear, The Bat, Diamondback, Invertigo, Adventure Express, Backlot Stunt Coaster, the Racer, Vortex, Firehawk, and numerous other thrill rides keep the fun going strong all day long, while Soak City, the park’s accompanying water park, cools things down with two wave pools, a lazy river and plenty of wet and wild water slides. Planet Snoopy, the park’s award-winning kids’ area, offers great fun for the younger side of the family, or those who just aren’t ready for those big-time thrills. Whether it’s a wild outdoor excursion or an awesome amusement park outing you’re after, your adventure awaits in Warren County! Traveling with teens? Check this out too!